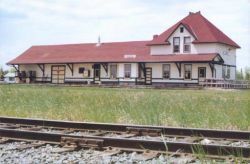 The railway station was the gateway and heart of most Western Canadian communities for at least 60 years. For immigrants, settlers, visitors, merchants, manufacturers and farmers, the railway station was the focal point of the community. Mail, news, communication and goods were exchanged there. Although Canadian Pacific experienced a virtual monopoly on rail service for 25 years, two other major railways provided competition until the two were amalgamated after ten years of intense railway expansion. 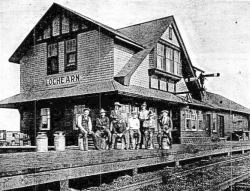 Some communities in Central Alberta had railway stations for more than one railway. Those communities included Red Deer, Sylvan Lake, Eckville, Stettler, Camrose and Alix. The station at Rocky Mountain House was shared by two railroads. Although each community has unique characteristics as does the region as a whole, in many ways Central Alberta represents the settlement, development and character of Western Canada. There were at least five stations in Central Alberta that are/were unique. 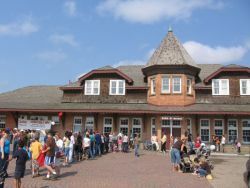 The CPR Red Deer station is one of five chateau-style brick stations built as landmarks downtown at major divisional points in Western Canada. Each station is architecturally unique but of similar style with distinctive octagonal tower. All have survived as historic resources in each of the five communities. 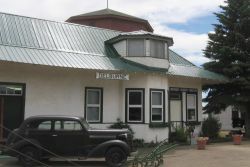 The Red Deer station was close to demolition but was saved due to achieving historic designation at all three government levels. It is now privately-owned and used for offices. It remains at its original dominant position at the head of Ross Street. 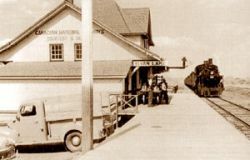 The CNR Red Deer station was originally planned by Canadian Northern but built by CN soon after Canadian National was created and before CN had developed standard designs. As a result, it was a unique blend of Canadian Northern and Canadian National 3rd class station characteristics. It was demolished in 1960 to make way for a shopping centre development after CN relocated its facilities to the north side of the river. 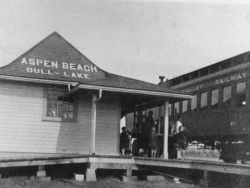 The Alberta Central Railway (later absorbed by Canadian Pacific) built a station at Red Deer but it was never used because the railway went bankrupt before it became operational. The station was relocated at least twice and is currently used as a private residence. 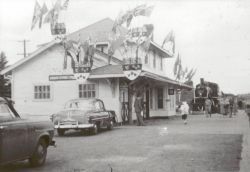 The second CPR Lacombe station was a unique variation of two similar stations in Alberta at Coronation and Hardisty. 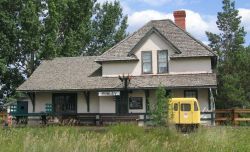 Located on the main Edmonton-Calgary line, the station also served the line east to Coronation. It was demolished in 1978 but replicated as an office building on the opposite side of the tracks in 2007. The second CPR Wetaskiwin station was built with a unique second storey treatment of a curved swept dormer. The ground floor is somewhat similar to the second Lacombe station. 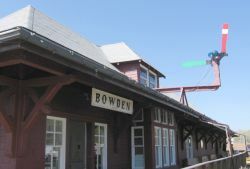 Located on the main Edmonton-Calgary line, the station also served the line east to Camrose, Saskatoon and Winnipeg. Currently used for commercial use. In addition to these five stations, several other station designs were built in Central Alberta, including at least 12 distinct styles of Canadian Pacific stations plus variations and 8 styles of Canadian National stations most of which were originally either Canadian Northern or Grand Trunk Pacific styles.